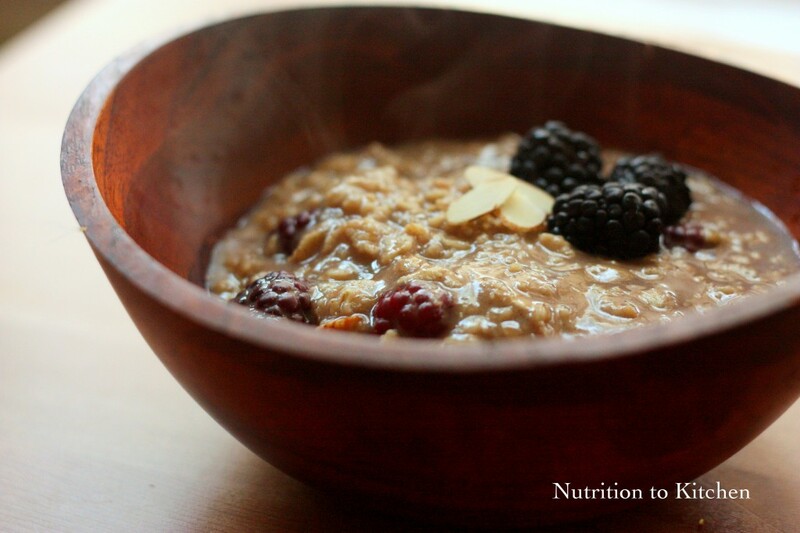 Oatmeal…love it or hate it? The following recipe came from Nutrition to Kitchen which was voted one of 2011’s Top 75 Nutrition Blogs. The photo alone sold me. 1. In a small saucepan over medium heat, combine all ingredients. Bring to a simmer, then turn down the heat to medium-low. Cook for about 5 minutes, serve. If you decide to make it, let me know how it tastes!